The wayward son of Stacker Pentecost is called into action when a Jaeger goes rogue. If you're a fan of Guillermo del Toro's 2013 monster mash Pacific Rim, you can thank Asian cinema-goers for this sequel. While del Toro's film crashed like a toppled kaiju at the western box office, Asia lapped it up, fittingly so, given how much the film owed to Japanese monster movies. For Pacific Rim Uprising, del Toro hands the reins to Steven S. DeKnight, a writer best known for creating and stewarding TV's Spartacus, making his directorial debut here. 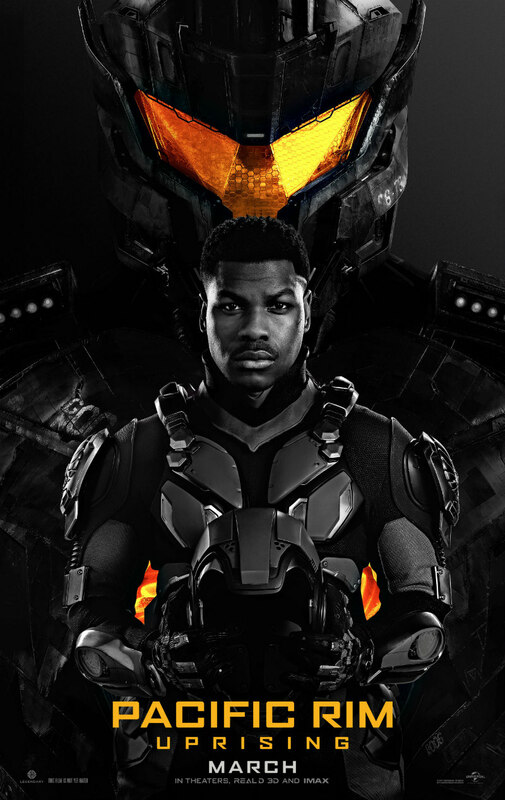 Set 10 years after the events of the first film, Pacific Rim Uprising introduces us to Jake Pentecost (John Boyega), son of Stacker Pentecost, who perished while leading humanity to victory over the giant monsters (kaiju) who emerged from a breach on the seabed of the Pacific. As Jake informs us in an opening explanatory voiceover, he's not much like his father, favouring self worth and a partying lifestyle over defending the planet from a possible kaiju return. 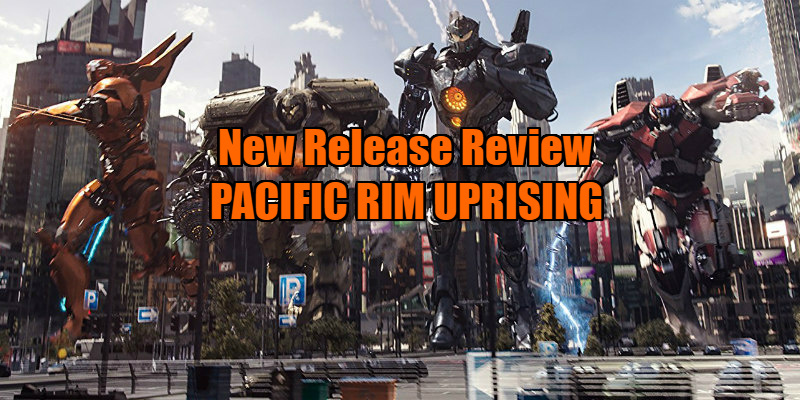 When Jake is arrested after attempting to steal a small jaegar (the giant robots controlled by a mind-melding process between its pilots) assembled by teen genius Amara Namani (Cailee Spaeny), both he and Amara opt to head to China and join the Pan Pacific Defense Corps rather than serve jail time. There, Jake is awkwardly reunited with instructor Nate Lambert (Scott Eastwood), with whom he shares some negative history. At a Sydney presentation held by Shao Industries, a Chinese tech firm which has developed pilotless drone jaegars, a rogue jaegar emerges from the sea and lays waste to the Australian capital. Jake and Nate are forced to put aside their differences to find out who is responsible for the attack. If you're the sort of fanboy who likes to refer to comics as 'graphic novels', Pacific Rim Uprising probably isn't for you. DeKnight's sequel is very much a live action Saturday morning cartoon, and it's all the better for it. While the script may bafflingly have been assembled by no less than four writers, its plot is refreshingly simple to follow; as it should be - this is a kids movie after all. Much of the humour is of the Dad joke variety, and while it will evoke groans from adults, I suspect kids will lap up its lame gags. That said, the comic relief duo played by Charlie Day and Burn Gorman are nowhere near as insufferable here as in del Toro's predecessor. One of the major complaints about the first movie was aimed at del Toro's odd decision to stage his film's action at night, which combined with shaky cam and ADD editing, made it impossible to see the action clearly. DeKnight seems to have paid attention to such criticisms, and his staging of sequel's set-pieces is a breath of fresh air. All the battles occur in daylight here, and DeKnight pulls his camera back, shooting the giant robot brawls in relatively long takes like MGM dance sequences, a welcome relief from the sort of 'toolbox in a tumble dryer' aesthetic of Michael Bay's Transformers series. Much like the Fast & Furious franchise, Pacific Rim Uprising packs its narrative with characters from all races and all corners of the world. Yet while the diversity is commendable (if perhaps cynically motivated by a desire to pander to the largest audience possible), racial stereotypes raise their ugly heads, none more so than the Russian cadet (played of course by a non-Russian actor in Ukrainian star Ivanna Sakhno) who makes life difficult for her gee-whiz American counterpart Amara, a ball of Slavic rage in a Brigitte Nielsen hairdo. 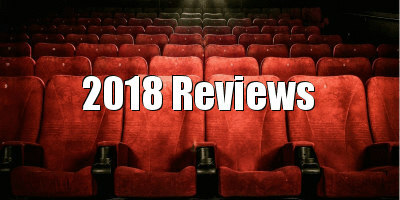 There's an admirable gender split in the casting too, but again it's a mixed bag, with the spunky Amara, a nice role model for teenage girls, tempered by Jules (Adria Arjona), a sultry latina introduced as a similarly tough gal but subsequently given nothing to do but become a lust object for the male leads. Pacific Rim Uprising isn't a film I could recommend to anyone over the age of 12, but I found it far more bearable than most modern franchise action movies. It's also that rare Hollywood film that does exactly what it says on its tin, delivering on its promise of huge robots punching giant monsters through skyscrapers. Kids from Tokyo to Taiwan, and maybe even Texas this time, will love it! Pacific Rim Uprising is in UK/ROI cinemas March 23rd.